President Donald Trump signed into law Wednesday morning legislation that levies new sanctions against Russia and restricts Trump’s own ability to ease sanctions in place against Moscow. The bill is one of the first major pieces of legislation that was sent to Trump’s desk, and it represents a rebuke of the President by giving Congress new veto power to block him from removing Russia sanctions. “Congress could not even negotiate a health care bill after seven years of talking. By limiting the executive’s flexibility, this bill makes it harder for the United States to strike good deals for the American people, and will drive China, Russia, and North Korea much closer together,” he said in a statement. Even before Trump signed the bill, the measure prompted Russian President Vladimir Putin to retaliate against the US over the new sanctions, which Congress levied over alleged Russian interference in the 2016 US election, as well as Russia’s annexation of Crimea and aggression in Syria. Medvedev predicted future relations between Russia and the US “will be extremely tense, regardless of the Congress line up or the personality of the President,” and threatened to escalate the matter to international courts. The new sanctions bill hits Russia’s energy and defense sectors, and also includes fresh sanctions against Iran and North Korea. It comes amid increasing tension between the US and Russia, dating back to the last days of the Barack Obama administration, when the then President ordered the seizure of two Russian compounds in New York and Maryland in response to alleged election meddling by Moscow. Since the new sanctions were mooted, Russia has responded by ordering the US to cut staff at its diplomatic missions in the country by 755 employees, as well as seizing two US diplomatic properties. The measure was signed into law after it passed with overwhelming margins in both the House and Senate — which made the threat of a presidential veto a non-starter — but it was not an easy road to Trump’s desk. After the Senate passed the sanctions on Iran and Russia 98-2, the bill languished in the House for more than a month amid a series of procedural fights. Then the House added North Korean sanctions before passing the measure 419-3, effectively forcing the Senate to swallow the new sanctions in order to get the legislation over the finish line before Congress left for its August congressional recess. The House and Senate struck a deal to make some changes to the bill at the urging of a host of US industries and European countries, but Congress did not consider making the change that the White House wanted: removing the congressional review on Russia sanctions from the bill. White House officials lobbied to weaken the section giving Congress a veto on the easing of sanctions, and Secretary of State Rex Tillerson warned Congress the administration should have “flexibility” to negotiate with Russia and improve relations. But key Republican and Democratic lawmakers said that weakening congressional review was not on the table when they were finalizing the legislation. Senate Foreign Relations Chairman Bob Corker, who initially was hesitant to pass a Russia sanctions bill before he was a key driver to get it done in July, said he has spoken to the President about the review process to try to ease the White House’s concerns. Corker said that Congress would only veto an attempt to lessen sanctions on Russia if the administration took an “egregious” step to try to remove sanctions. Corker noted that Trump has refused to believe his intelligence leaders that Russia interfered with the election, and said that may have helped push Congress to get the bill done quickly. “I do think that the lack of strong statements in that regard probably effected the outcome,” he said. 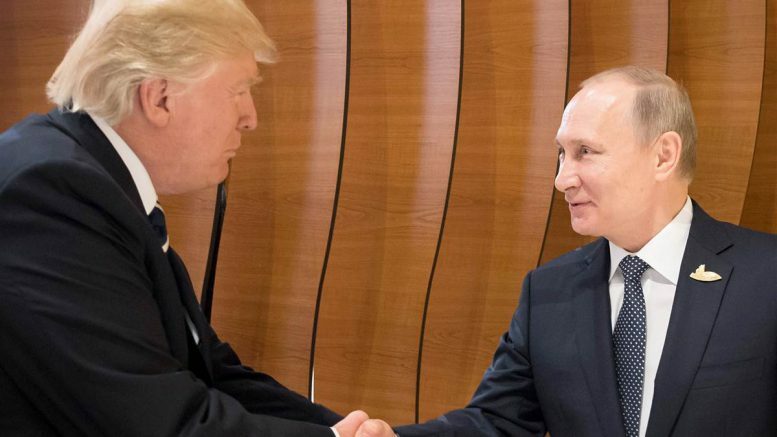 Be the first to comment on "Trump signs bill approving new sanctions against Russia"